Every knife collector has regrets, and mine was the Spyderco Lil’ Temperance 2. Luckily, I managed to correct my youthful mistake in letting it go back in the early 2000s. 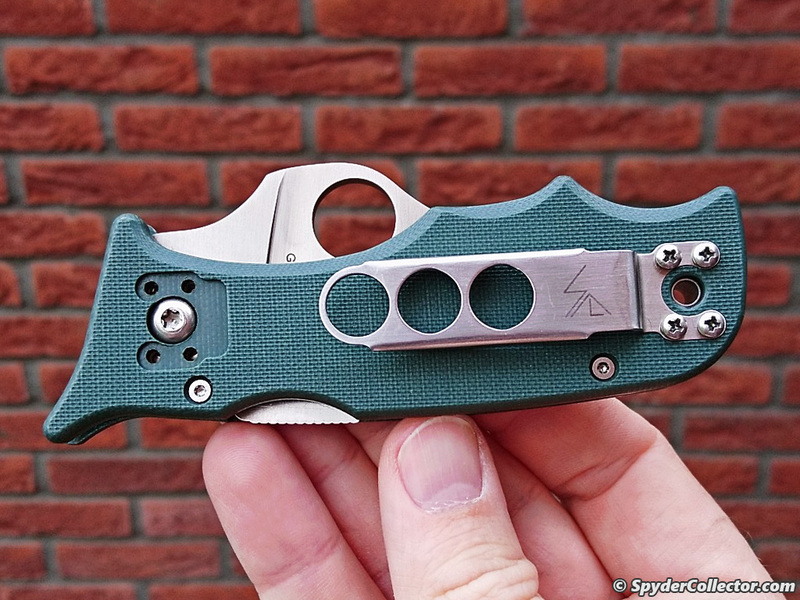 Spyderco co-founder Sal Glesser has said about his design: “A little Temperance is a good thing”. I think I’ve shown plenty of temperance when I waited 15 years before I got mine. Although ‘foolish’ would be a better description. I’ve been a big fan of the original Lil’ Temperance folders, since they originally came out back in 2002. 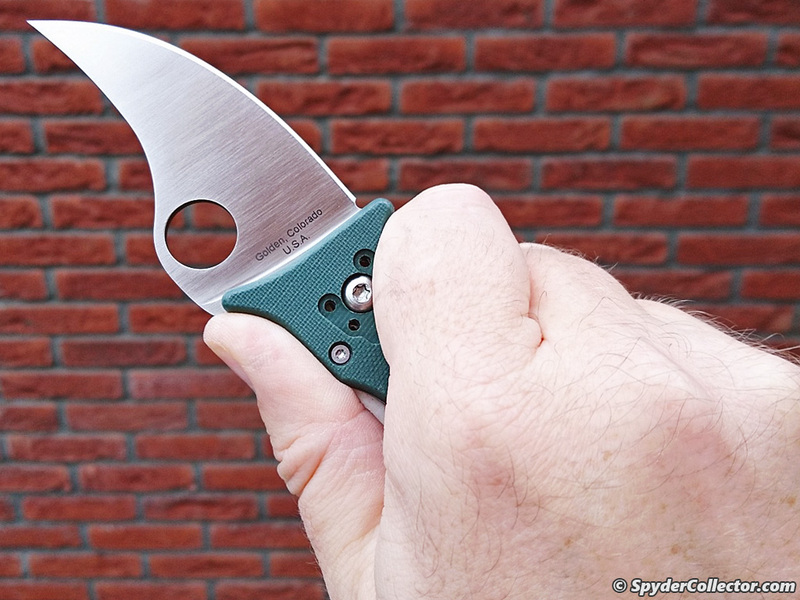 They were made in two blade shapes: the Lil’ Temperance 1, with the now familiar Spyderco leaf shape, and one in a more ‘wilder’ trailing point version – the Lil’ Temperance 2. Back then, I thought the ‘rhino’ Lil’ Temp just seemed a bit too much. I went with the leaf blade and have been happy ever since. The Lil’ Temp is an awesome working knife, and its colored and 3D machined handle added some ‘panache’ to the design that satisfied my inner knife nerd. I went so far as to collect variations of the Lil Temp, and have been quite successful at it. Over the years, I did start to appreciate that trailing blade shape and a little regret started to kick in. I wanted that rhino lil’ temp! One problem would be that I’m not a big buyer/seller on the secondary market. Let’s just say I don’t Ebay. Last year, one of my familiar forum friends announced a sale on his Instagram channel, and it featured a Lil’ Temp 2. Now here was a guy I knew and trusted. The sale was quickly settled. 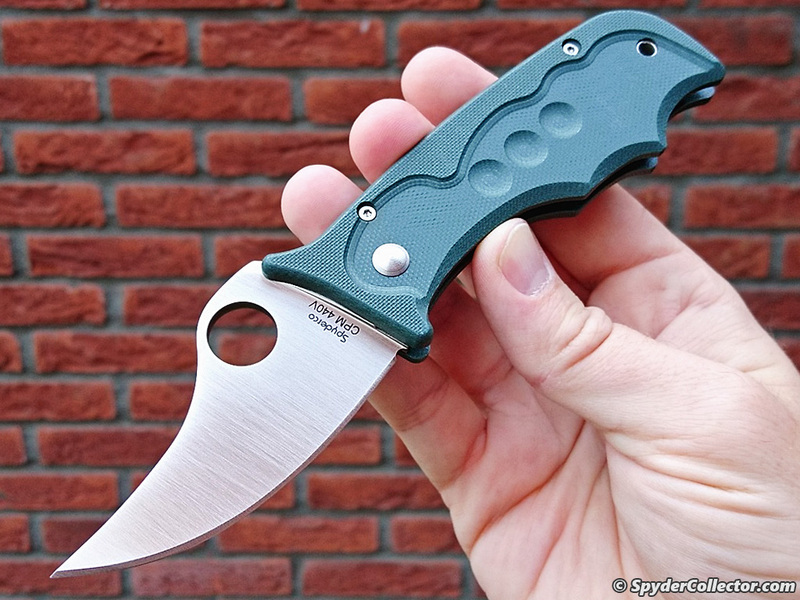 When I received the knife, I was stoked to see the blade was marked 440V, these were made early on in production, as Spyderco switched to S30V in 2003. It was clear the knife had been carried. The blade was a little dulled, and I noticed some scuffing and bending on the clip and the G10 was worn in a few places. A quick disassembly, washing, oiling, reassemble and sharpening session brought it right back to where I liked it. I haven’t cut much with it, just opening envelopes and breaking down cardboard for recycling. One kitchen cutting session did enlighten me about the possibilities of this blade shape for food prep. I might yet have to get that Hundred Pacer. The knife is awesome. If there’s one advise I can give to a fellow collector; dare to go for the ‘quirky’ designs of your favorite maker, you’ll be glad you did later on. 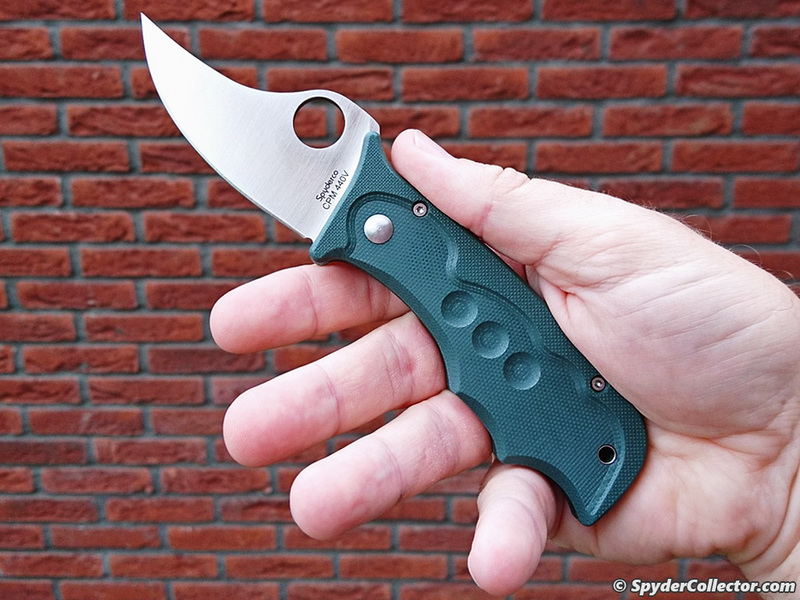 If you want to learn more about the Spyderco Lil Temperance, then go to www.spydiewiki.com.